Measure one cup of the rice. 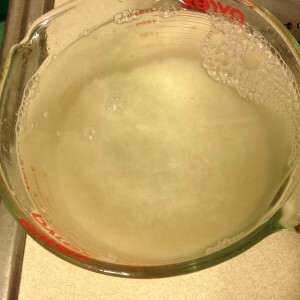 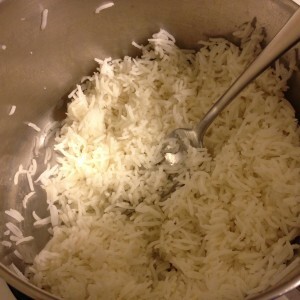 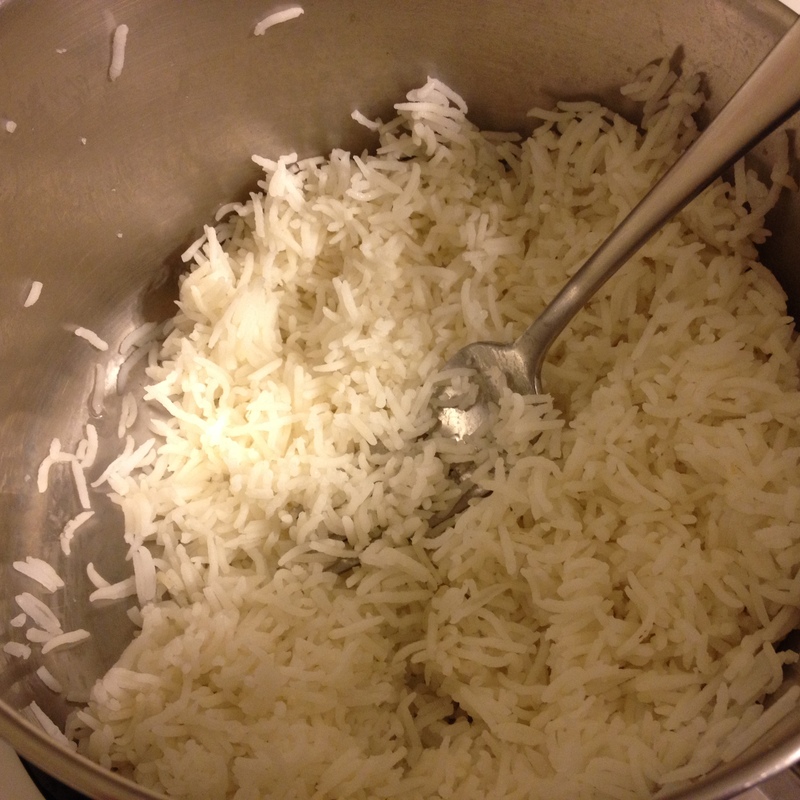 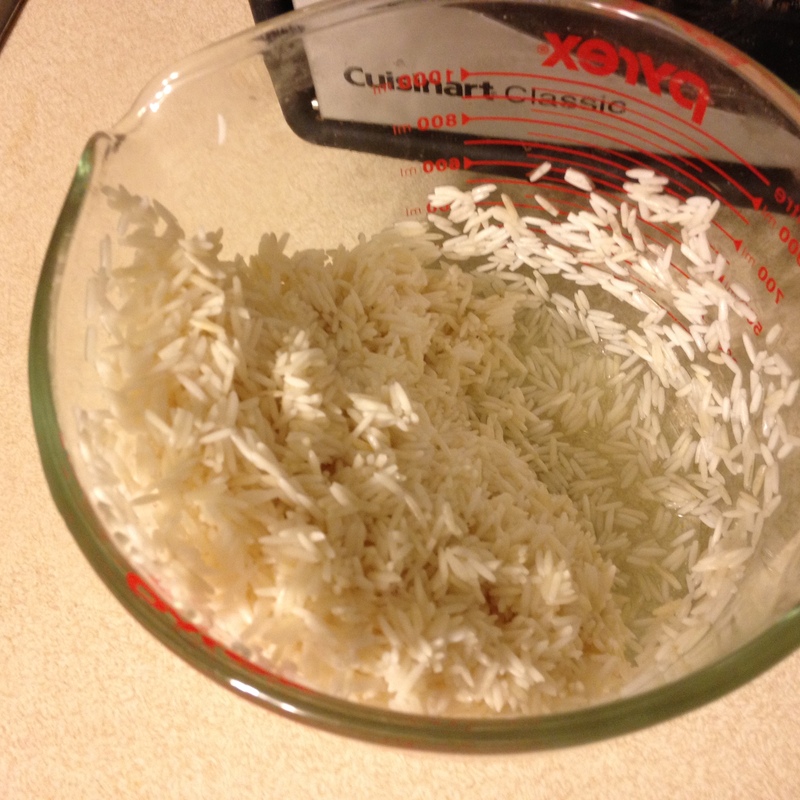 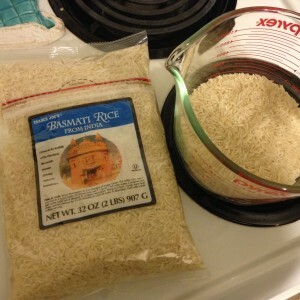 The first step is getting rid of the surface starch, and that means washing the rice. Put it in a large bowl and fill with fresh, room temperature water. 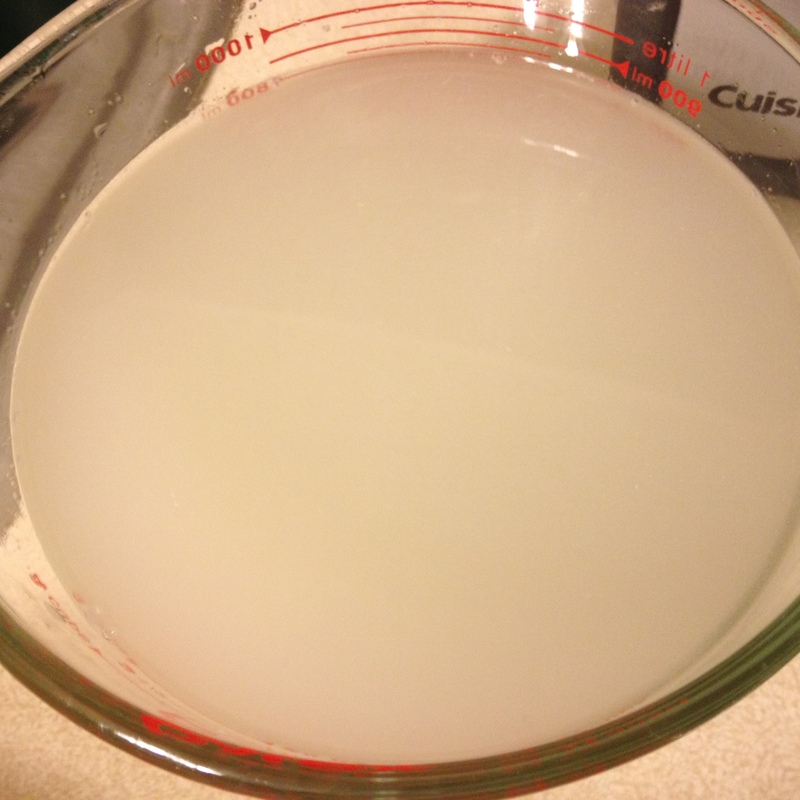 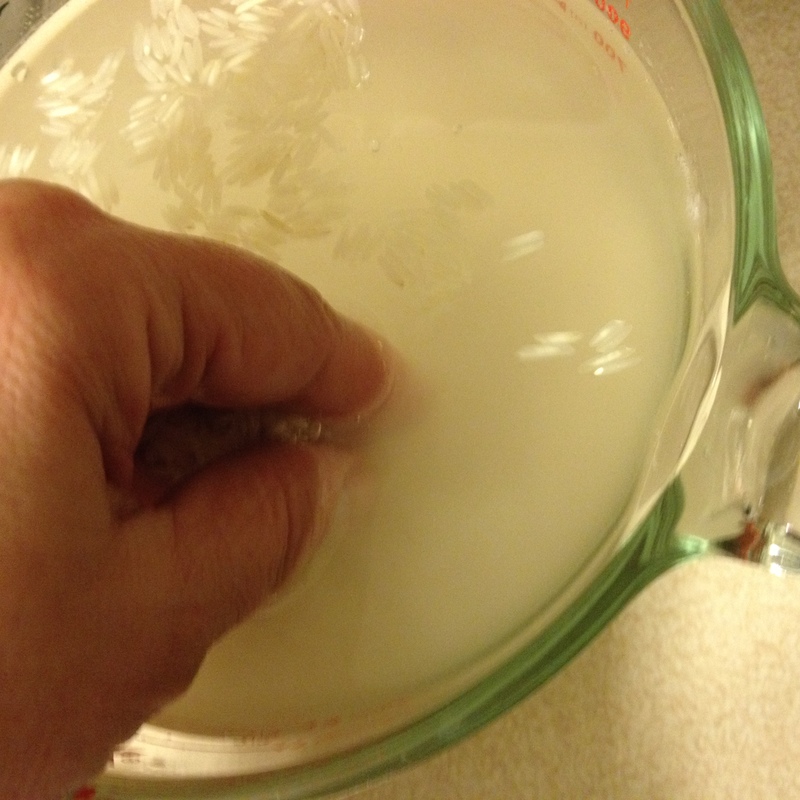 Swish your hand through the water and the rice until the water is cloudy with starch. Once you’ve swished your hand around for a minute or so, pour off the water. Repeat this rinsing process until the water runs clear, about four times. Fill up the bowl one more time and let the rice soak for 30 minutes. Fill a medium saucepan with 1 3/4 cups water, add a pinch of salt, and bring to a boil. 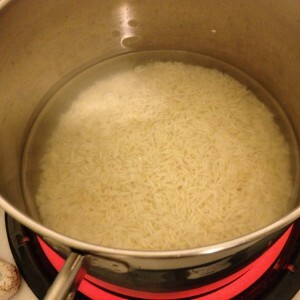 At the end of 15 minutes, cut the heat. 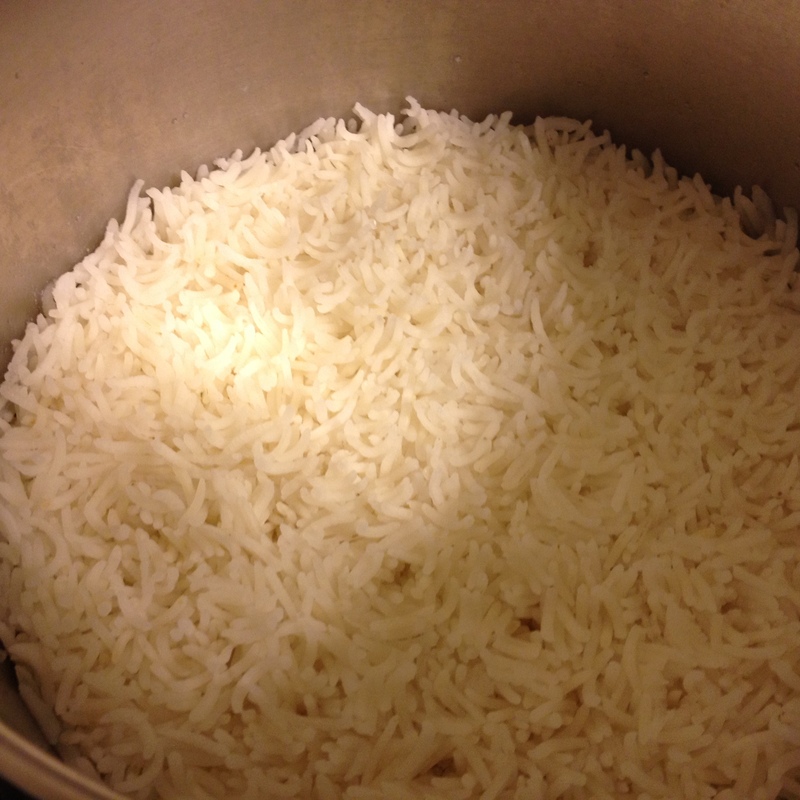 Let the rice sit for 5 minutes. 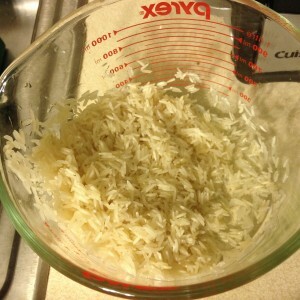 This recipe is originally from the Food Network.